I’ve always wanted Greyhounds. They are muscular, sleek and athletic. Beyond that, they are extremely loving and gentle animals. After adopting John, I discovered how much this breed needs help. I talked with my wife and kids about fostering. We explained to the girls that our role, while it might be hard, is to be a transition home from the track to their forever homes. We are in the dogs’ lives to teach them how to be house dogs, teach them love and teach them trust. What makes this experience a rewarding one, for me, is obviously watching the dogs become the companion animals they are meant to be but also watching my kids take responsibility for these guys. I get to watch their altruism, their selflessness and their confidence grow with every dog we take in. Sometimes, they become attached, and letting the foster go is hard for them. However, they truly believe in this cause. They feel reassurance in their mission when they see pictures of their former fosters loving life in their forever homes. It takes my kids 5 hours to put a shoe on; tell them there’s a loose greyhound and they have their shoes, coats, hats, dog treats, toys and leashes ready to go before I can even finish the sentence. The foster guidelines make it fairly easy. If you follow them, you’ll greatly minimize or completely eliminate the chance for any accidents or unwanted behaviors from the dog. Greyhounds are smart and sensitive. Greyhounds don’t shed much like other dogs. They don’t have a “dog” smell to them, and they’re lazy! So, they don’t need much exercise. I’ve never regretted the decision to foster, in fact, I can’t image what our family would be like had we not have fostered. We are very, very close because of the greyhounds. 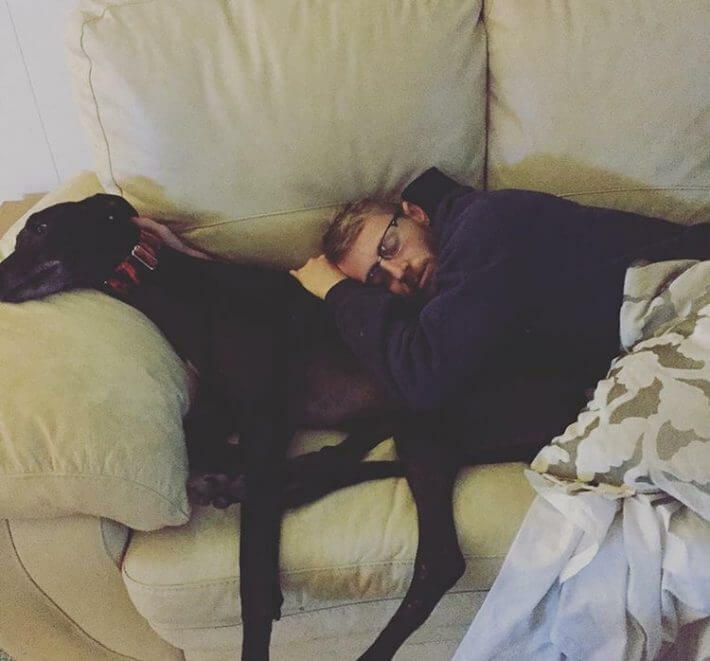 Apply to Foster for American Greyhound at https://agrey.org/AGFosterApp.